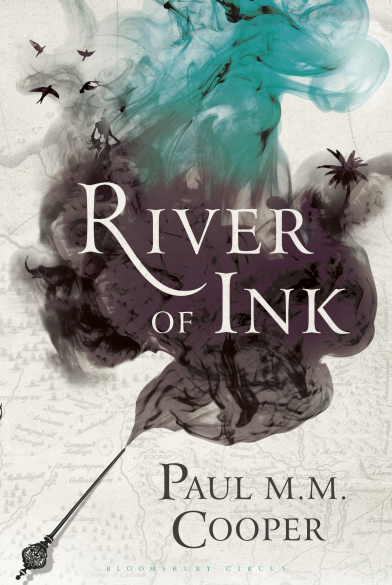 River of Ink, the debut novel from Paul M. M. Cooper, is set to be published by Bloomsbury on 28th January 2016 – and we here at Nothing in the Rulebook are already excited about it. Combining the intrigue of Wolf Hall, the drama of Game of Thrones and the elegance of My Name is Red, the novel promises to be one of the most thrilling new novels published in recent times. All Asanka knows is poetry. From his humble village beginnings in the great island kingdom of Lanka, he has risen to the prestigious position of court poet. When Kalinga Magha, a ruthless prince with a formidable army, arrives upon Lanka’s shores, Asanka’s world is changed beyond imagining. Violent, hubristic and unpredictable, Magha usurps the throne, laying waste to all who stand in his way. To Asanka’s horror, Magha tasks him with the translation of an epic Sanskrit poem, The Shishupala Vadha, a tale of Gods and nobles, love and revenge, which the king believes will have a civilising effect on his subjects. Asanka has always believed that poetry makes nothing happen, but, inspired by his love for the beguiling servant girl, Sarasi, as each new chapter he writes is disseminated through the land, Asanka inadvertently finds himself at the heart of an insurgency. True power, Asanka discovers, lies not at the point of a sword, but in the tip of a pen.